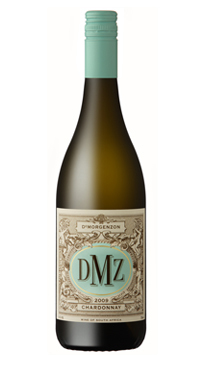 The DMZ Chardonnay offers light citrus and vanilla aromas and hints of almonds. The palate is clean with tropical fruit to follow. Each vineyard parcel was fermented separately, using a combination of natural yeast and careful inoculation. Of the grapes, 25% were left as whole bunch and 75% were lightly crushed and the juice was allowed to settle overnight. The wine was aged on its lees in a combination of stainless steel and French oak barrels. A small percentage of malo-lactic fermentation was allowed. After four months, the various parcels were blended, then aged for a further three months before being stabilized, lightly filtered and bottled.